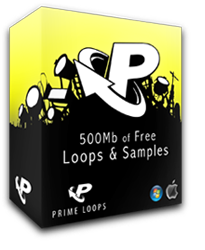 Just in case anyone who reads this happens to be producing their own music on their computer setups; Prime Loops are giving away a high quality sample pack of over 500mb of loops, samples and muilti patches. DOWNLOAD HERE. Offer Ends March 14th 2010.